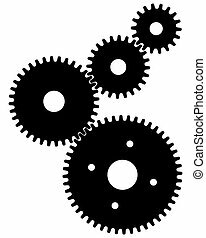 gears for cooperation symbolism. 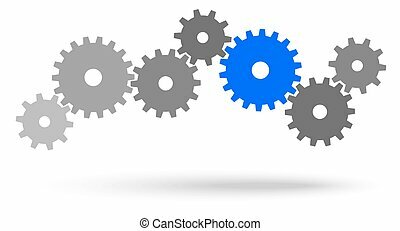 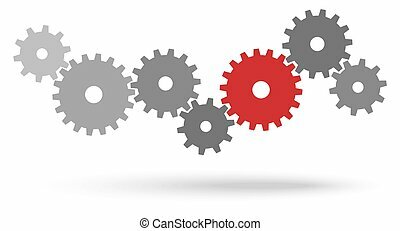 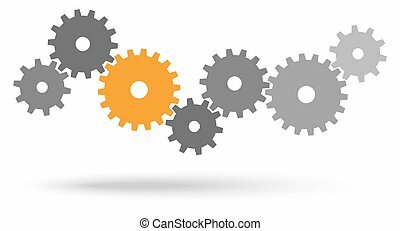 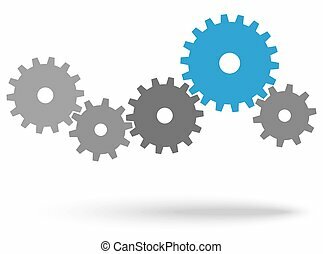 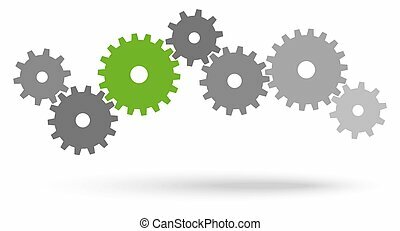 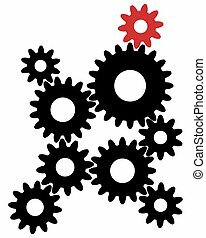 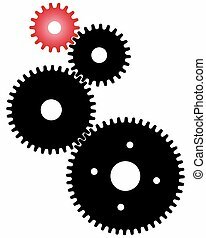 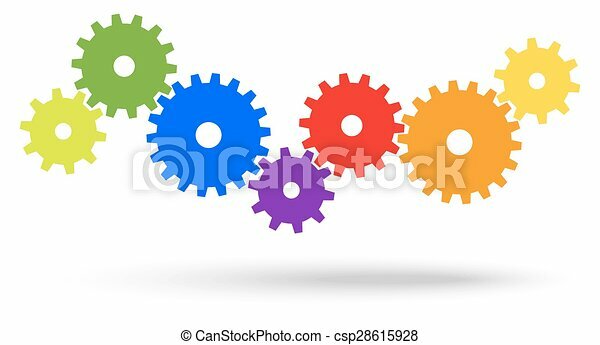 Different colored gears for cooperation or teamwork symbolism with shadow. 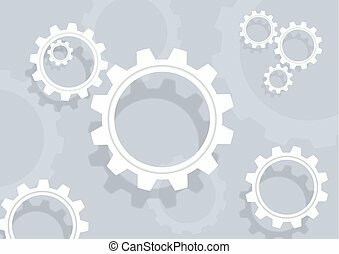 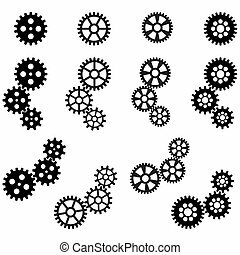 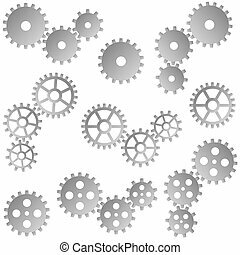 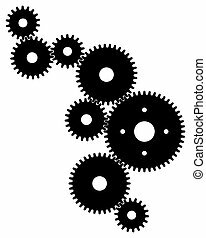 White cog gear wheels float over flat shadow on gray space. 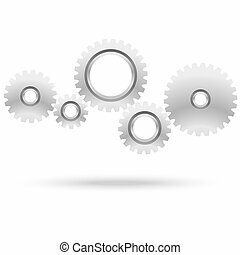 Vector illustration concept for business, cooperation, teamwork symbolism and high computer engineering, digital technology concept. 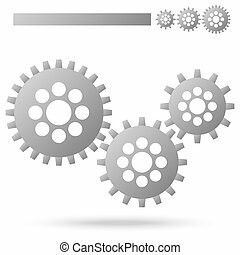 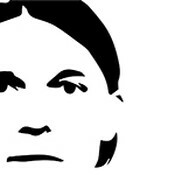 Use for advertising, presentation and website.